Healthcare IT security specialist Imprivata is partnering with patient matching company Verato to use biometrics for improving patient identity management. The arrangement will see Imprivata link its PatientSecure patient identification solution with Verato’s cloud-based master patient index platform, Universal MPI. Patient matching is the process by which health data is accurately linked and attributed to the correct patient, allowing physicians and others to have a complete picture of the patient and ultimately to better care for patients. Biometrics and referential matching are among the cornerstone opportunities to improve patient matching in the exchange of health information, according to Pew Charitable Trusts. Pew found for digital records to introduce efficiencies and offer patients and medical professionals more complete information, it was critical that the patient data needed to feed new initiatives like analytics, telemedicine and precision medicine is accurate. What’s more, the firm’s research also determined that patients prefer biometrics, with more than 70 percent ranking them as the top choice. A RAND report from 2018 asserted that smartphones and mobile apps could be viable solutions to the patient matching problem — though RAND also noted that such methods still need to be tested and further developed. Imprivata’s PatientSecure is a creates a 1:1 match between individual patients and their unique medical records, retrieving digital health data through biometric identification at all points of care. Hospitals have the choice to positively identify patients with a variety of biometric options including palm-vein biometric identification and iris biometric identification. Verato’s cloud-based matching platform, of its part, links and matches identities across disparate sources, leveraging a self-learning database of U.S. identities as a reference, or universal answer key. The new platform combines biometrics technology to capture patient identities with referential matching, helping to ensures all records are linked to the correct patient. 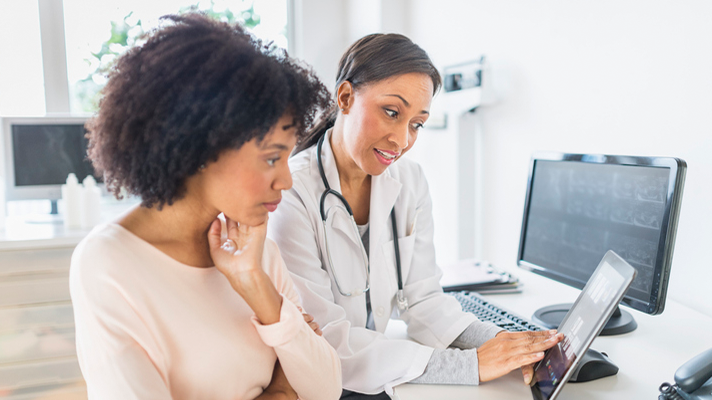 The service is designed to help providers better support patient-directed access and eliminate information blocking, in light of forthcoming regulations from the Office of the National Coordinator for Health Information Technology. In December, Imprivata and DigiCert, a SSL certificate specialist, teamed up to deliver an automated identity proofing process, Imprivata Confirm ID, that will make EPCS compliance easier. While Imprivata delivers the end to end authentication for providers, DigiCert delivers authentication for connected devices and the networks and stations to which providers connect. Earlier in 2018 Imprivata unveiled a Mobile Device Access service that can help hospitals offer secure access to clinical mobile devices and applications while letting clinicians maintain a fast-paced workflow.